October is National Bullying Prevention Month, and Kiosk is proud to partner with Novato Blue Ribbon Coalition for Youth to create awareness around this heightened social issue. Our campaign invites students and parents of grade school and middle school kids to take a heroic stand against bullying. 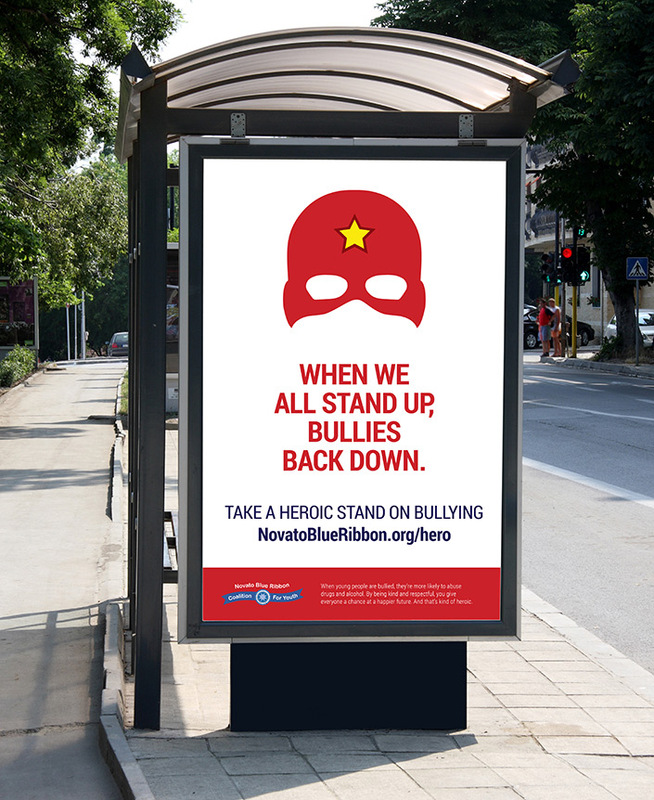 Kiosk developed a superhero-themed campaign to bring a positive message to the cause. Bright comic book superhero graphics draw attention to bus shelters and posters all over town and in local schools. The campaign lets boys and girls know they already possess the ‘superpowers’ of kindness and fairness to stand up to bullies. Helpful information for parents who sense bullying is happening to a child online or at school is available at Novato Blue Ribbon Coalition for Youth’s website.